This Thursday, April 26th, the Senate Judiciary Committee will consider the Special Counsel Independence & Integrity Act. Contact committee chair Sen. Chuck Grassley and NJ’s own Sen. Cory Booker before Thursday @ 10am to voice your support for protecting Special Counsel Robert Mueller’s investigation! It only takes minutes to make these important phone calls! After months of concern, a Senate bill to protect the Special Counsel investigation from unjust firing is up for a vote in committee. 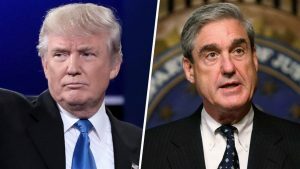 With the President publicly attacking Robert Mueller in recent weeks, It is more important than ever that Congress take action. This Thursday (4/26) at 10am, the Senate Judiciary Committee will consider S2644, the Special Counsel Independence & Integrity Act, a bipartisan bill co-sponsored by New Jersey’s own Sen. Cory Booker. It takes current agency regulations requiring the firing of a special counsel to be for good cause, and turns them into federal law. If the special counsel is fired, he would have 10 days of expedited judicial review to assure that the firing was for good cause. It would protect all documents, materials and staffing of the investigation in the event of a firing. [for Sen. Grassley]: I’m calling because the Senator is the chair of my Senate’s Judiciary Committee. [for Sen. Grassley]: Thank you for bringing this bill up for a hearing. Please support it. [for Sen. Booker]: Thank you for sponsoring this bill. Please do everything you can to move this bill forward. Congress needs to act now to ensure that Special Counsel Mueller can finish his investigation. What if this doesn’t work? Concerned citizens should prepare to peacefully rally if Special Counsel Mueller or Deputy Att. General Rod Rosenstein are fired. MoveOn.org members have planned more than 900 PEACEFUL rallies that will take place if a firing happens. Go here to find the rally location nearest you and RSVP! ← NJ’s Voting Machines at Risk – Contact NJ Sec of State Today!